With the motto “Don’t let students have troubles in studying just because of tuition fee”, Van Lang University has built an evident, steady tuition fee policy. Moreover, the school has some ways to support students’ tuition effectively, helps them to finish their studying without family’s worries. Part-time jobs for students at school. Some other activities, for example, Job fair, Career Workshop, Probation, Internship, …..
With the family, the school and society are always their supporters, help them to overcome all the difficulties and make their dream come true. Learning credit fund for students has been set up since 1998 to support finance for some students who have difficult situations. 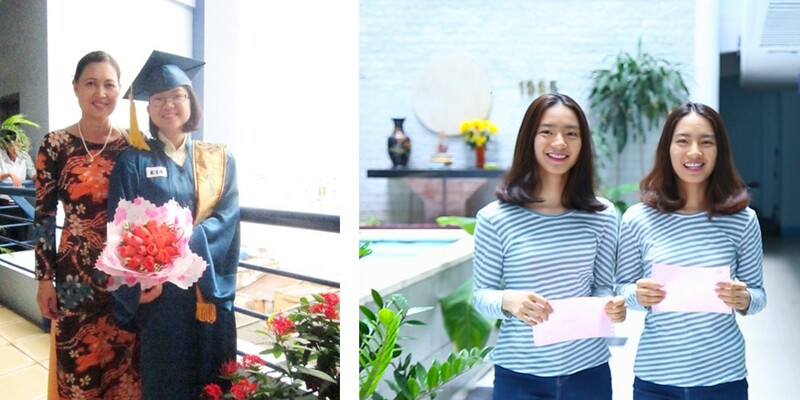 The fund was managed by Vietnam Bank for Social Policies, which can help students somehow pay for their studying, daily expenses, books, learning aids and research. From 2017 to 2018, Van Lang University has confirmed the profile of 1,507 students for helping them complete study loan documents. Their father, mother or guarantor are responsible to the bank and even for paying the loans. They can ask the bank to transfer money to another bank which is near students’ school. Students can get money by presenting their identity card. Interest: 0.55%/month, 6.6%/year, overdue interest is 130% of payment interest. Over the past years, Van Lang University has remained the policy of tuition fee extension to encourage students to learn and share the difficulties with their family. The school hopes that tuition fee can not become the trouble with someone who chose Van Lang as their destination. At Van Lang University, students can be well-supported to complete their documents. How to extend tuition fee: Students submit the form of tuition fee extension (amount of money, the time to pay, family situations signed by the local committee). Each faculty will take it into consideration and supervision. Special policies of Van Lang University. Sisters and brothers studying at the same school can get 8-12 % off in each person’s fee, Tuition fee extension for those who come from low-income families, Scholarship from 10% to 100 % for every student having over 7,0 grades in studying and and 70 grades in after-school activities, Tuition fee reduction for welfare beneficiary taken from Van Lang family’s fund, Part-time jobs for students (20.000 – 25.000 dong per hour). Sisters and brothers are studying together at the school can get 12 % off in each person’s fee, 8 % off (sisters or brother are alumni). Students whose parents are alumni: 8 % off from tuition fee/ a year. Students whose parents are working at school: 50% off from tuition fee/ a year. In 2017-2018, there are 1,028 students getting tuition fee reduction (433 siblings are studying, 433 siblings have sisters/brothers as alumni). This is a helpful way Van Lang University supports for many generations in Van Lang big home. 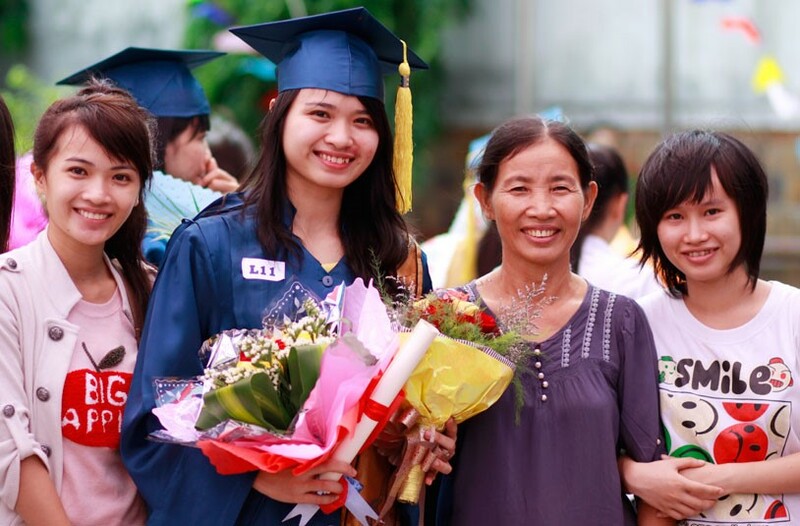 (Left) Ms. Lam Hai Yen (Staff at General Department Van Lang University and her daughter on Graduation Day, July, 2014) (Right) Twin Nguyen Ngoc Mai, Nguyen Thu Cuc, students of Language English, Van Lang University, 2016 (22nd term). They both get 12% off tuition fee/ each year. Students come from poor family (depend on each region): 15% tuition/ a year. Orphan students: 20% tuition/ a year. Disabled students with challenging finance: 15% tuition/ a year. Students come from minorities group, at remote areas: 10% tuition/ a year. Students whose parents are workers, officials with labor accidents or occupational disease: 8% tuition/ a year. 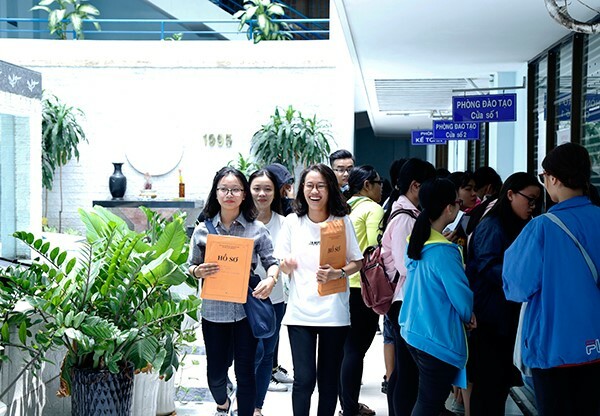 When studying at Van Lang University, students are guaranteed for their rights and social policies followed Vietnamese government’s regulation. From 2015-2016 to 2020-2021, tuition subsidization and support are done at their permanent addresses. To these students, the school will take some cases into consideration to help with its financial budget. (1 time/ 1 semester). Supporting financial budget applied for 2018-2019. Students whose parents are war martyrs: 30% tuition/year. Students whose father or mother is sick soldier 2/3 - 3/3: 8% tuition/year. Students whose father or mother is veterans 1/4- 2/4: 12% tuition/year. Students whose father or mother is veterans 3/4 - 4/4: 8% tuition/year.